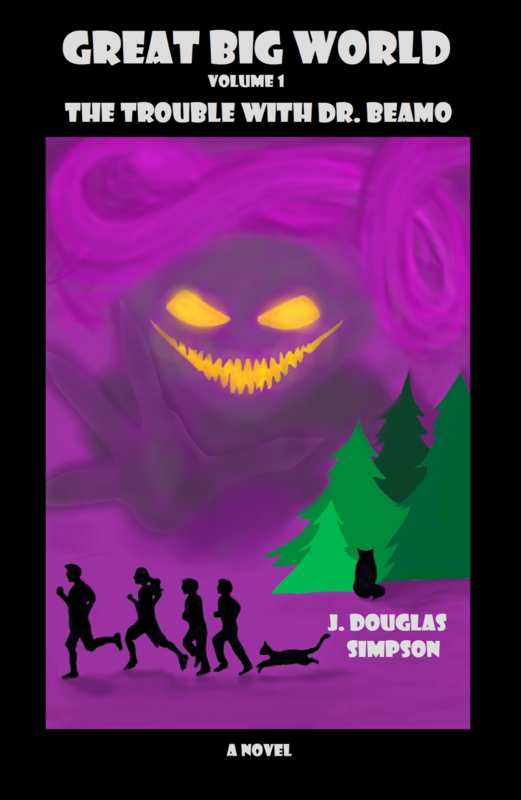 The Great Big World series follows Jake Baker and his family as they deal with all sorts of fantastic and supernatural happenings. The series is a genre mash-up of fantasy, science fiction, mystery, and comic book action featuring a cast of colorful characters with a great sense of humor. Suitable for Middle Grade readers and up. March 14, 2019 - Work finally begins on Great Big World Volume 2! With work on Maxim Ultra ending, I can finally turn my attention back to Jake and his friends for their second exciting adventure! I don’t want to set a release date yet, because it’s early days yet, but the writing is going well. Once I have most of the book complete, I’ll reveal the title. This promises to be a darker adventure than The Trouble with Dr. Beamo, which is mainly due to the villain that the Greene Street Gumshoes face off with, but it will still have the same sense of humor and satisfying story. Can’t wait for you all to read it! Great Big World: The Trouble with Dr. Beamo is now available in ALL formats. You can purchase the print and Kindle Editions by clicking the button above. All other eBook Editions can be found at Smashwords! Thanks for reading!